Noble Igwe was not pulling punches, he hit her Twitter with every thing he had. The social media commentator criticized Ahneeka's personal hygiene and acne, while she was in the Big Brother Naija house. 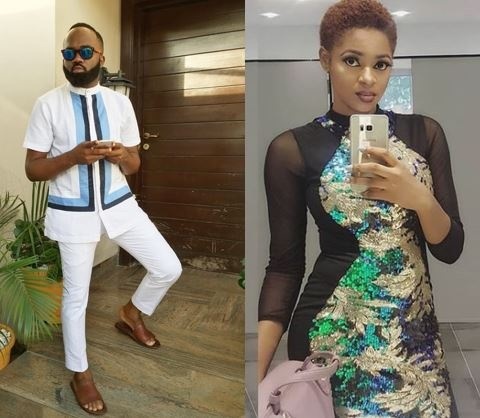 Expressing her disappointment, Ahneeka said Noble Igwe should never speak to a woman like that. "I was kind of disappointed at the way he took it. I mean, no person should be allowed to talk about any person like that," Ahneeka said. "He knew he had a social media presence - even if he didn't, I don’t think he should say that to any woman. "He has a beautiful wife and a beautiful daughter, [so] I don’t know how he would feel if someone spoke about his kid or his family like that. “I don’t think he should disrespect people just because they are going through a certain struggle. I have acne. I didn’t go to the bank to buy it. I didn’t go to the supermarket to order for acne. "It came, it wasn't my choice but I had to deal with it. So, you can’t come out and tongue-lash me or say all sort of nasty stuff about me on a social media platform. "I just expected him to be more cautious and knowledgeable," she added. Ahnneka goes to bed in thus same outfit and why does she wear a bra to bed? So no one can make sure Ahneeka get to have a bath twice a day ?